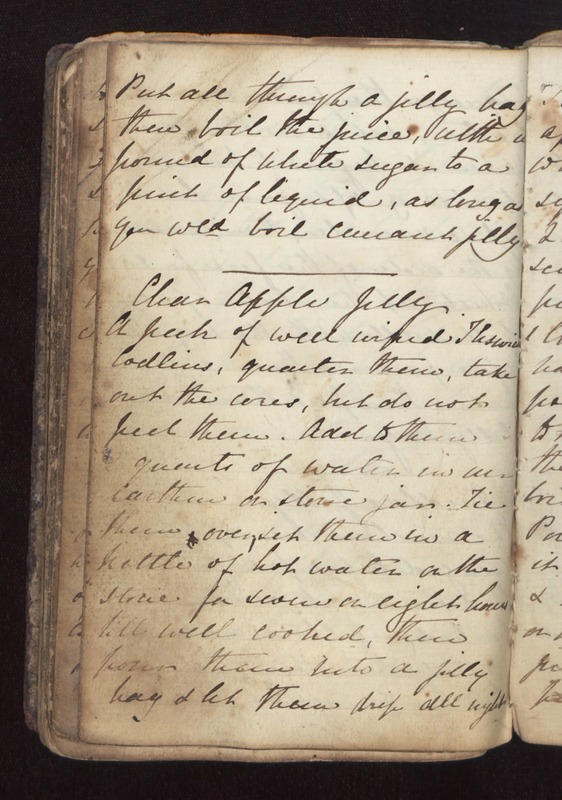 Put all through a jelly bag then boil the juice, with a pound of white sugar to a pint of liquid, as long as you would boil currant jelly. Clear Apple Jelly A peck of well wiped [Keswick?] codlins, quarter them, take out the cores, but do not peel them. Add to these [2?] quarts of water in an earthen or stone jar. Tie them over, set them in a kettle of hot water on the stove for seven or eight hours till well cooked, then pour them into a jelly bag & let them drip all night.